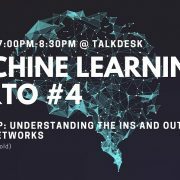 The workshop will occur at Talkdesk new office with a limit of 40 attendees, to provide a nice learning experience for everyone. Come in, bring your laptop, grab a beer, and let’s cluster together. Note 1: If you have a power strip (en.wikipedia.org/wiki/Power_strip) and could bring to share with others, we’ll appreciate a lot. 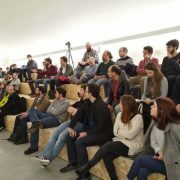 https://www.datascienceportugal.com/wp-content/uploads/2019/02/PyPorto.jpeg 449 600 João Ourique https://www.datascienceportugal.com/wp-content/uploads/2018/08/LogoDSPT_Grey-300x225.png João Ourique2019-04-24 19:00:002019-02-24 10:40:12Workshop "Clustering with Python"